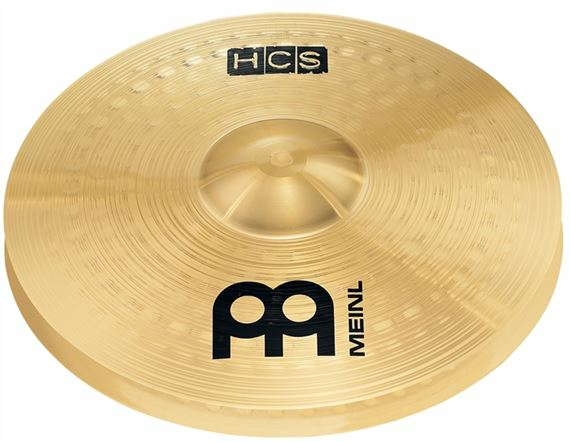 Order your Meinl HCS HiHat Cymbals 14 Inch from AMS and enjoy Fast & Free Shipping. Get the Best Deal with our Lowest Price Guarantee & Great Customer Service! The Meinl 14 Inch HCS Hi Hat Cymbal presents a warm, harmonic clean sound. It is a versatile, articulate open hi hat. The HCS cymbals are an entry-level line that combines outstanding quality and value. The cymbals are made from MS63 alloy and are perfect for beginners or experienced players. Great sound, alot of low end. Loud but not overpowering when open and defined chick when closed.